Midwife Justine Mbasalizaki of Iganga General Hospital recounts a recent incident that saw a pregnant woman who we shall simply call Mrs X almost lose her life in a situation that claimed the life of her baby. According to Ms Mbasalizaki, this mother of five who had been referred from a Health Centre IV in Namutumba District almost 40 kilometres away, arrived bleeding severely. Using a motorcycle as a means of transport, a lot of time was lost and by the time Mrs X presented at Iganga, too much blood had been lost and she was anaemic. With the only ultrasound machine at the hospital down, Mrs X was sent out for a test elsewhere, but she did not have the money and her care taker kept pacing up and down saying someone was bringing the money. In the process, more time was lost. None-the-less, even if the scan had been done in time, Mrs X could not have been helped with emergency obstetric surgery because there was no blood at the hospital. When financial help eventually arrived, Mrs X underwent an ultrasound scan at a private health centre where she was found to have Placenta Previa and was operated at the same facility. While Mrs X survived, her baby did not. Placenta Previa occurs when a baby’s placenta partially or totally covers the mother’s cervix, resulting in severe bleeding. 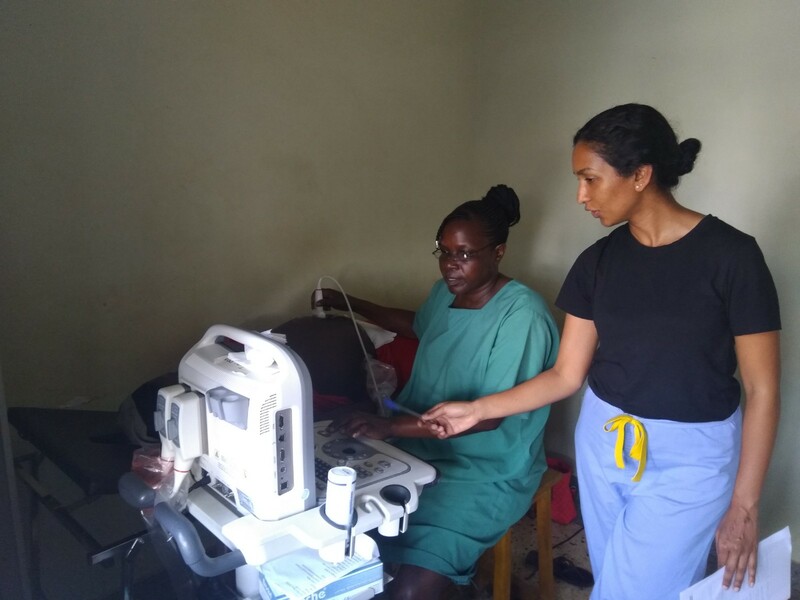 However, for women who find themselves in Mrs X’s situation there is hope now that a team of 8 midwives and a medical officer at Iganga Hospital have just undergone a training in basic obstetric ultrasound skills. The same training is to be extended to three Health lower level facilities which include Namungalwe, Bugono and Nsinze, which regularly refer to Iganga Hospital. 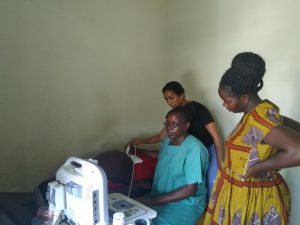 According to Dr Jude Mulowooza of Iganga Hospital, the training is part of a sub study, under the Preterm Birth Initiative project and aims at exploring the impact of introducing ultrasound at labour triage to improve the identification and management of selected pregnancy related complications. “The complications we are talking about include multiple gestation, abnormal fetal heart rates, abnormal amniotic fluid volume, abnormal location of the placenta, abnormal presentation of the baby, and preterm labour,” explains Dr Mulowoza, who is also the principal investigator of the sub-study. Put together, the listed complications are common at Iganga Hospital and have a prevalence of about 15% and the best way to identify them according to literature is ultrasound. Yet according to Dr Mulowooza, many mothers show up without having done an ultrasound scan. This, he further explains, together with challenges of accessing ultrasound scanning in hospitals due to shortage of people who scan and having one machine, is what informed the study to establish if introducing scanning at labour triage would overcome those obstacles and facilitate identification of the conditions and hence better care for these mothers. The study enrols only women who are at least seven months pregnant and with signs similar to labour which may include intermittent abdominal pain, mucous- like discharge and cervical changes. Thank you Dr. Mulowooza for the study. It may save us from inconsistent scan reports. What about determining the most informative scan to take during pregnancy to alleviate the financial constraints involved – just thinking aloud!